Large groups, corporate parties, wedding. If you find yourself impressed at what something like the stretch SUV limousine can offer but really are in need of more space for your large corporate party, you can turn your attention to the super stretch SUV limousine. As the name implies, the super stretch takes everything great about the stretch SUV and makes it bigger. This luxury vehicle's seating capacity increases to fit up to 18 of your nearest and dearest. 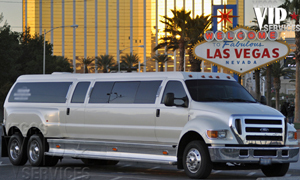 When first boarding the super stretch SUV limousine, you may find yourself intimidated by the sheer size of the vehicle. 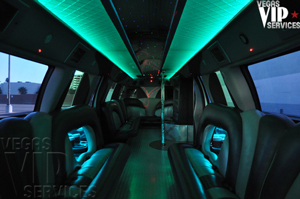 Like with any other limo, plush leather seating invites you and your guests on a nice comfortable ride while an array of fiber optic neon lights create a mood that most nightclubs strive to mimic. Flat screen televisions line the corner panel of this SUV, ensuring everyone has a view of whatever entertainment you decide to bring along. Sound travels efficiently through a surround system that offers CD/DVD and MP3 player capabilities. No matter the occasion, you can find a reason to use every feature of this mammoth SUV. 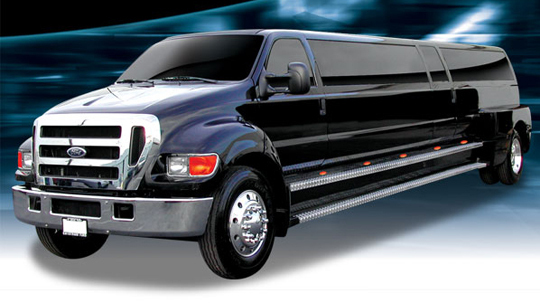 The super stretch SUV limo comes with the typical mini-bar and is bound to be the perfect vehicle for those large corporate event excursions. Why worry about car pooling and having multiple cars available when you can all pile into this nightclub on wheels and start the party before you even arrive at the venue.